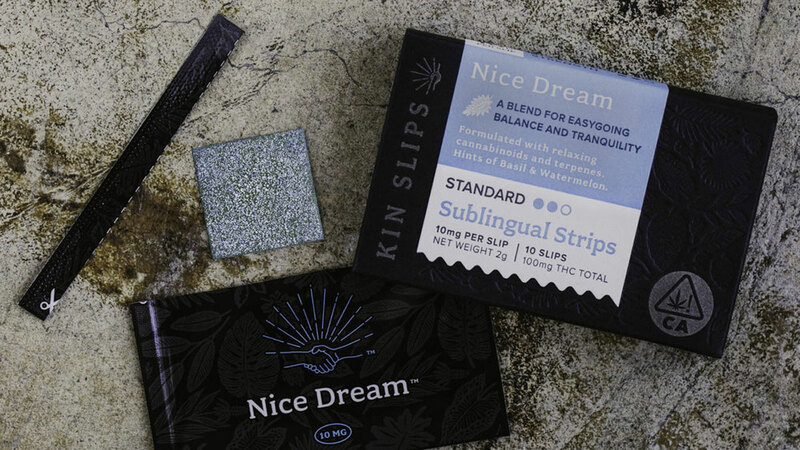 Kin Slips describe themselves as "cannabis infused sublingual strips." Which to me translates as: weed you can dissolve under your tongue! Just like Listerine strips, except rather than fixing my bad breath, Kin Slips will make me feel happy and chill and not so concerned about having bad breath to begin with. 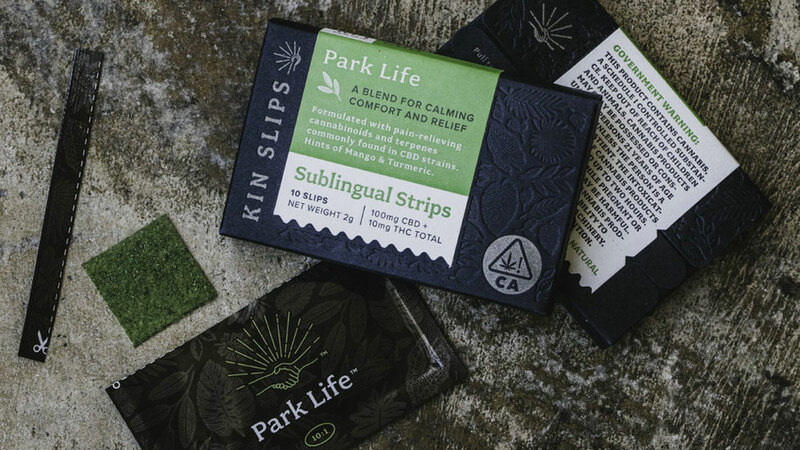 Kin Slips contain blends of cannabinoids, terpenes, and other natural ingredients mixed and pressed into squares that deliver their effects quickly and more efficiently. 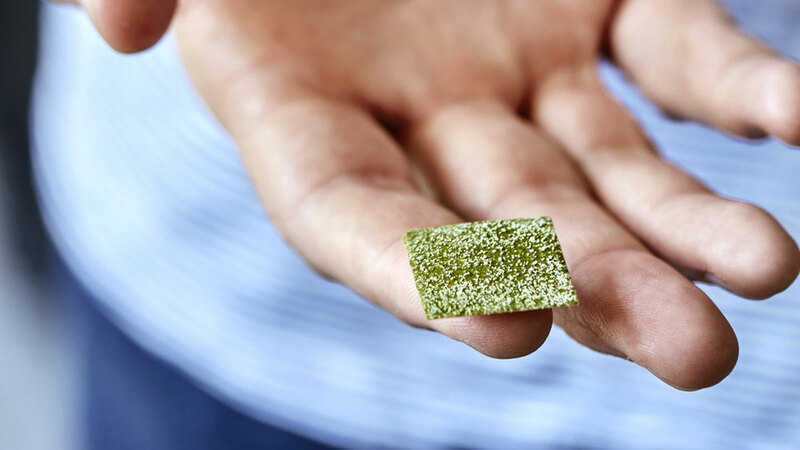 According to Kin Slips, when you absorb cannabis under your tongue, as opposed to through edibles, you eliminate potential distortion by stomach acids, and the need for your liver to break them down. They travel straight to your bloodstream through the membranes in you mouth, a process that takes about 10 to 15 minutes. Kin Slips also says their effect feels more like smoking marijuana than ingesting it. 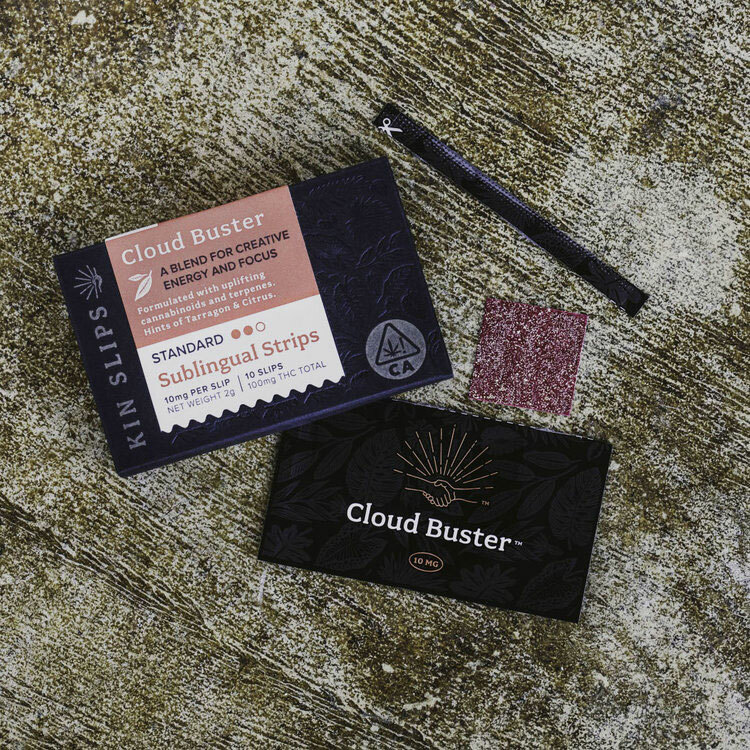 The Cloud Buster blend uses uplifting cannabinoids and terpenes found in sativa strains to provide a wake-up effect similar to a cup of coffee. It has a tarragon and citrus flavor. 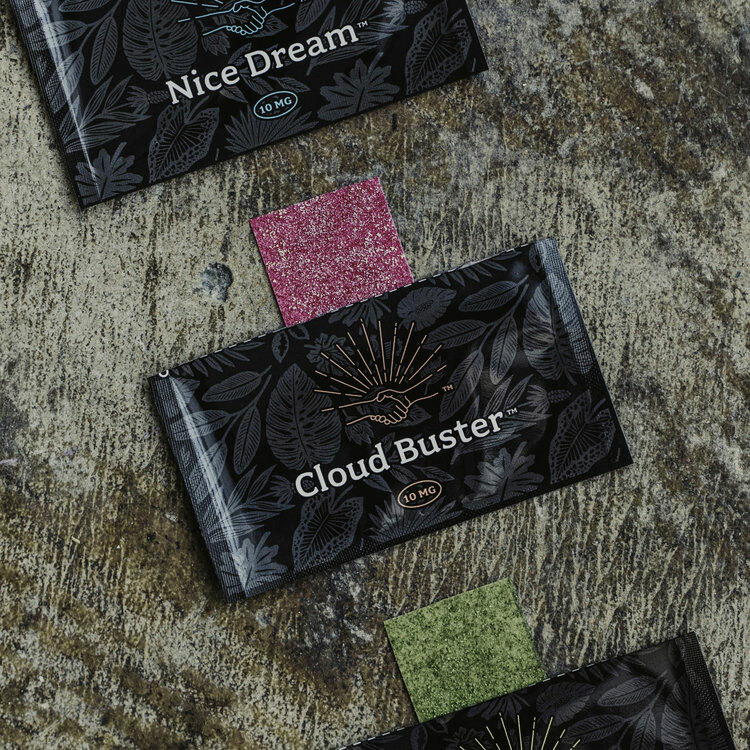 Nice Dream is your tongue buddy for relaxation, using cannabinoids and terpenes found in indica strains. It (supposedly) tastes like basil and watermelon and is the chosen Kin Slip for an evening at home or good night's sleep. Park Life helps with pain management, using cannabinoids and terpenes commonly found in CBD strains. Its blend and mango and turmeric flavor do their duty without making users feel high. At printing, Kin Slips were available for purchase only at medical cannabis providers in California. If you're not a CA resident, check out some of these CBD oil sellers whose products you can buy online.